I sat down with Nik Davidson from Wizards of the Coast, trying desperately to ignore the siren's call of Duels 2015 on screen. He asks, "Have you ever played Duels of the Planeswalkers?" I laugh. I've played every single iteration of Duels to completion, even going so far as to unlock every card for every deck in no less than two versions. I've referred a number of Magic newcomers to Duels for an easy-to-approach learning experience, as Duels is, to this day, the single best way to learn Magic that I've ever discovered. Of course, for advanced players - I've been playing for two decades now - despite it being a fun distraction, Duels has never offered the kind of customization experience that's really at the core of Magic. 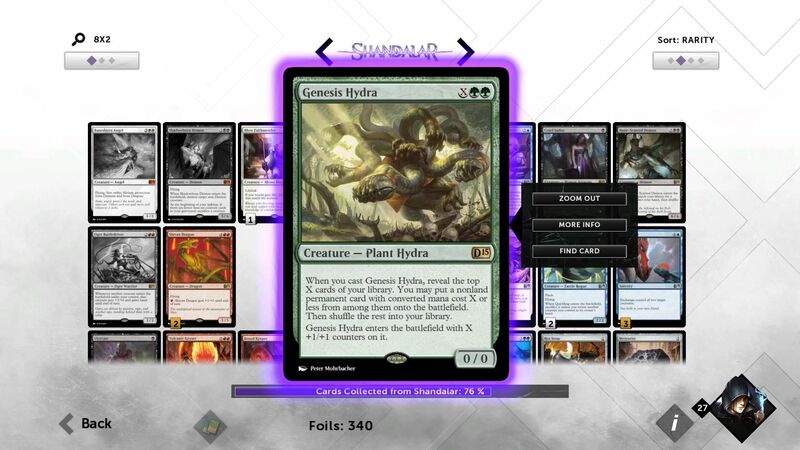 Duels 2014 did take a step in the right direction with the Sealed Deck format, which allowed you to build a Limited deck from a random Sealed Pool, but it still didn't allow you to customize your campaign deck beyond the various card unlocks for each of the available pre-constructed decks. That's all changing with Duels 2015, as Jon Bolding reported from PAX East. When you finish the tutorial, you'll pick a pair of colors and get a low-power deck in those colors to start you off. As you play through the campaign and defeat opponents in duels, you'll get booster packs with new cards to add to your collection. It'll take a few wins to build out your collection enough to actually build your custom deck, but just as soon as you have the cards, you can get to deck building, which you'll be able to use throughout the campaign. In addition to showing off the new, cleaner game board, the improved interface, and the auto-complete deck building AI that Jon Bolding got to see at PAX East, I learned a few new things about Duels 2015. For starters, much to the chagrin of everybody that's going to play Duels 2015, there are Premium Booster packs, only purchasable as microtransactions. These boosters host a completely separate set of cards for your collection, so if you want to acquire every card in the game, you'll be forced to farm rewards and pay cash. Wizards knew that premium boosters would likely aggravate a decent portion of the playerbase, so there are safeguards to keep it from being too much of a pay-to-win scenario. 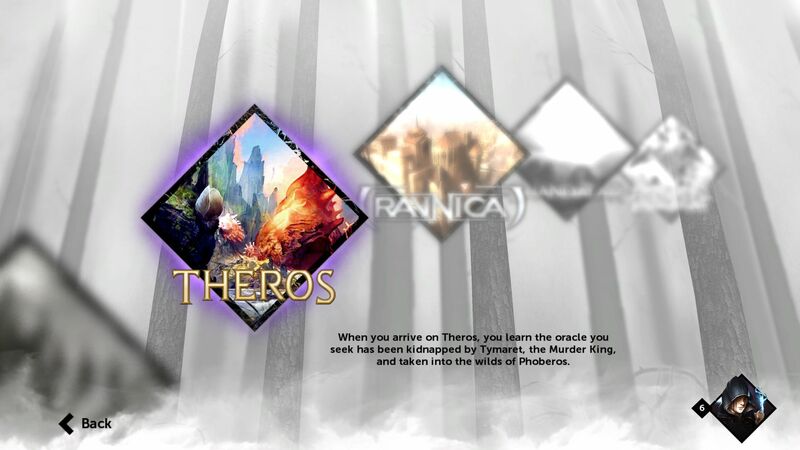 Your collection is limited to four of any common, three of any uncommon, two of each rare, and one of each mythic. This will keep players from just buying a hundred boosters and building the uber-competitive super-decks that you'll see at the tournament level of competitive play. It's a welcome restriction for players like myself, that tend to avoid microtransactions. Another particularly neat aspect of Duels 2015 is the fact that Wizards has opted to make the in-game story official Magic canon. 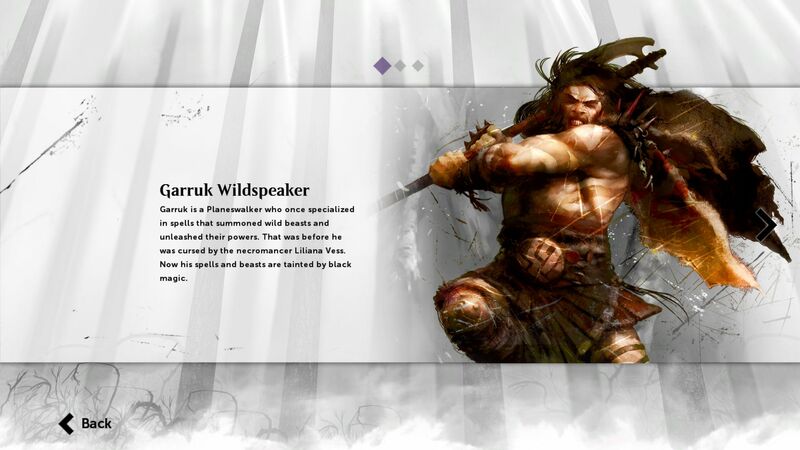 If you're a story buff, you'll appreciate that what you see as you proceed through the game, and the end result of your pursuit of Garruk, will both be featured in the continuing Magic storyline. There's still no firm release date, but Wizards is targeting July to launch Duels 2015 across numerous platforms; PC, iOS, Android, Xbox 360, Xbox One, and Kindle. Editor's Note: The article originally stated that Duels 2015 would be available on PS3 and PS4. There are currently no announced plans to launch on PlayStation platforms.